Rising damp in Barnsley is the process of water rising vertically up from the ground and travelling by capillary action through porous material such as bricks and mortar. This will cause the wall to become damp as hygroscopic salts travel into the brickwork and plaster. As water evaporates, these salts are deposited into the wall attracting more moisture from the atmosphere. As the process continues the wall and surrounding area becomes more saturated and signs of rising damp will become evident such as crumbling of plaster and white tide marks appearing on a wall up to a height of around 1 metre. Problems such as dry rot, wet rot and wood boring beetle infestations are also more likely to occur as surrounding timbers become saturated. It is a slow process and can be present for many years before any sign of a problem appears. There are a range of solutions involved in the treatment of rising damp Barnsley which have to work in combination with each other and be carried out correctly using the correct specifications and materials to ensure treatment is successful. Barnsley Damp Proofing will conduct a diagnostic survey before recommending the best course of action.  Our surveyors have the experience to ensure the best solution is recommended and applied. You can read more information here. A chemical injected damp proof course will involve drilling into each brick at carefully calculated intervals then injecting under pressure the silicon 8 fluid or gel. This forces the chemical into the brick which creates resistance to moisture. The height of where you inject is determined by the site conditions such as external ground levels and internal subfloor levels. The treatment usually takes place from the inside as external renders and plinths can make it difficult to do from the exterior of a property. As part of a damp proofing system, contaminated plaster will be hacked off and replaced using a specialist replastering specification (adhering to BS6576/1985 guidelines). Other solutions may also be specified to work in combination. This may include an application of the Stormdry water repellent masonry protection cream to give additional protection in particular situations such as when bricks are highly porous, if a wall is heavily exposed to wind drive rain or if ground levels means rain water splashes up and over the damp proof course. If the wall is a party wall and/or there is a possibility of lateral penetrating damp such as where there is an internal suspended timber floor or solid floor combined with high ground bridging the damp proof course, it is recommended to apply a waterproof cementitious membrane. This will be required below the injected damp proof course to protect the skirting and sub floor timbers. A cementitious membrane uses a cement based chemical slurry which when plastered onto the wall reacts and penetrates the prepared surface to prevent water moving through earth retaining walls. This method can work in conjunction with a chemical DPC system and also as a solution for basement waterproofing either in combination with a cavity drainage waterproofing system or as a standalone solution. 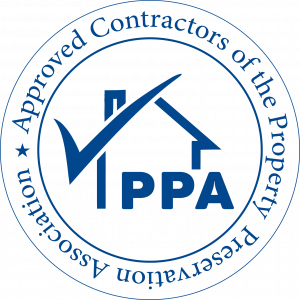 The products we use to treat Rising Damp in Barnsley are the highest quality and BBA Approved. We only use products from the major manufactures including Triton, Delta and Safeguard and our technicians are trained in their correct application. Our work is protected by our guarantee with third party protection available. The team here at Barnsley Damp Proofing can provide you with the support and guidance that you need to deal with any rising damp issues your property or your clients property may be experiencing.  We work alongside homeowners as well as commerical clients to provide specialist solutions required to ensure properties are properly protected. See our full range of damp proofing solutions for other ways we can address damp issues.